People around the world mostly think about the caves as dark hollow places in the mountains that are full of bats and insects! Also, caves are fun places to visit. Other than this, many caves are rich in coal, gold, diamonds, and minerals. Caves are one of the amazing geological features that are present in mountains, ground, and underwater. Caves are not always single with only one opening, but there are also systems of caves that are expanded many miles having a great number of opening. Let’s find out more about caves! Caves are not built in small time span, but they take millions of year for their formation. Also, their formation doesn’t stop, they continue to be developed further – even today. 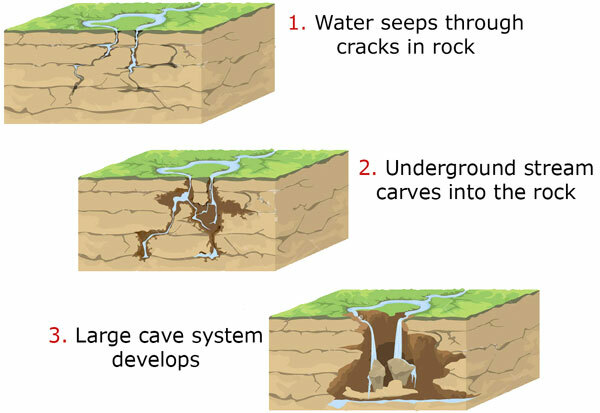 Cave formation can take various geological activities for its formation. Majority of the caves are made of soluble rocks that can easily dissolve over time due to the presence of water to form caves e.g. gypsum, marble, limestone, and dolomite. Other caves are formed due following geological activities: volcanic activities, chemical action on rocks, movements of tectonic plates, and earthquakes. 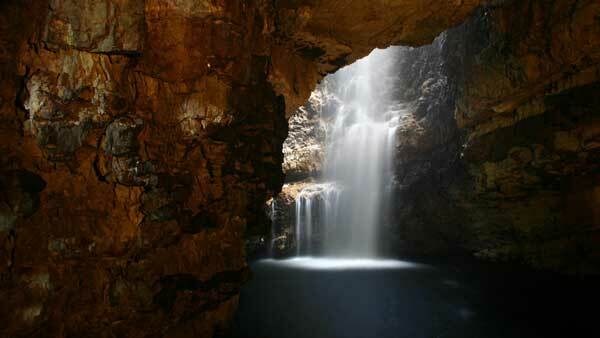 There are various types of caves that are classified according to the way they are formed. These all caves have different sizes and depths, but no any cave can reach beyond the depth of 9800 feet (3 km). It is due to the increased pressure over the rocks as depth increases. 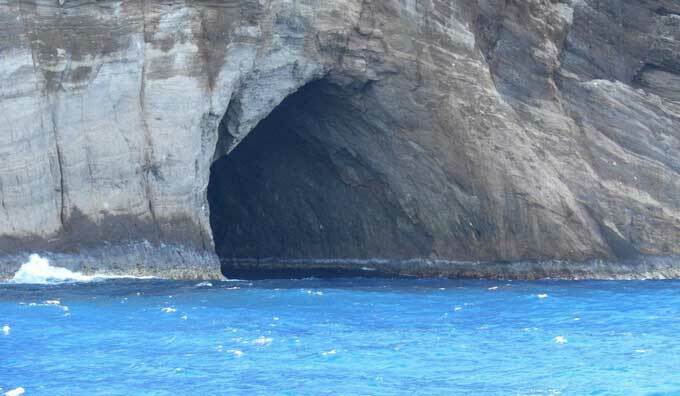 Most important types of caves are solutional caves, sea caves, erosional caves, and glaciers caves. Let’s discuss these types of caves. Solutional caves occur more commonly than any other type of caves. These caves are made of soluble rocks that can easily be dissolved by water over time. The most common rock that makes most of the solutional caves is limestone. Limestone is dissolved by the rainwater which contains a small quantity of carbonic acid. The rainwater continues to dissolve the rocks and make sinkhole – making the rock porous. Due to sinkholes, the rainwater can go inside the rock and dissolving it from inside. As a result, the hollow places are formed. Sea caves are formed in the cliffs around the coastal area. The waves in the sea weaken the cliff where it strikes over the time. This results in the formation of sea caves. These caves can reach a length 300 meters. Erosional caves are formed due to the flow of water over the rocks. The flow of water slowly erodes the rock and makes it shrink and form hollow spaces. Erosional caves can form in any type of rock e.g. sedimentary, igneous, and granite rock. Among these rocks, the hardest rock is granite that is also eroded by water. The shape of the erosional cave depends on the direction of water flow. Glaciers caves are different from common rocky caves because glaciers and its caves are made of ice. 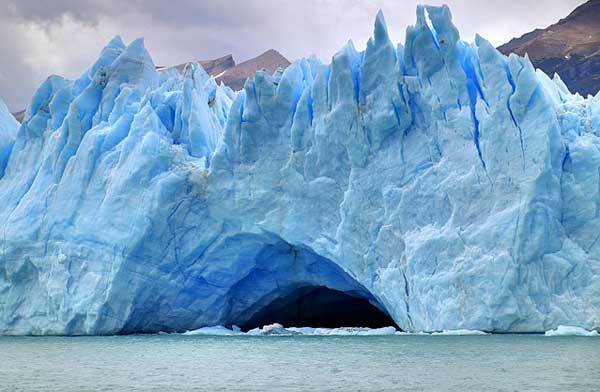 These caves are formed in glaciers due to the melting of ice and action of water that dissolves and carry away the ice. Caves look very mysterious places due to its wonderful features. Among these features, the most famous are discussed. 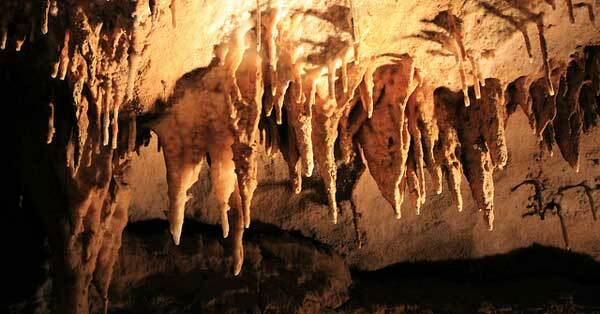 The most amazing features inside most of the caves are speleothems or stalactites. These features look like large spikes and pillars hanging from the ceiling of the caves. Speleothems are formed by dripping of water from the ceiling. The dripping water is concentrated with minerals, so it deposits the minerals on the ceiling and continues to grow downwards. Speleothems take many centuries to grow just a few centimeters. 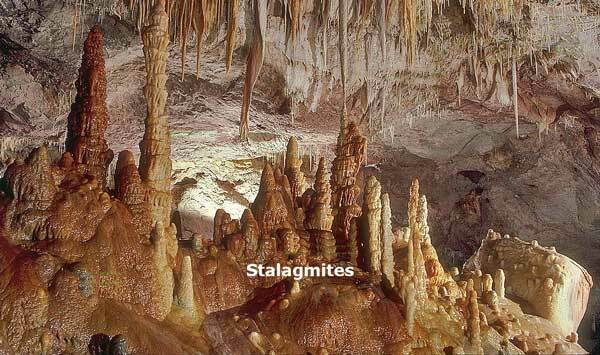 Stalagmites are similar to speleothems, but they grow on the floor of the caves instead of the ceiling. They are formed by the dripping water that falls on the floor. The dripping of water on floor deposits minerals on the floor and grows upward. Many caves are sources of fossils of many species that lived millions of years ago and are extinct today. Early humans also used caves as their habitat. The drawing made by early humans living 50,000 years ago are still present in many caves. The largest cave of the planet earth is located in Vietnam called “Son Doong”. It is more than 5 km long in length and having sections that reach about 200 meters in height. 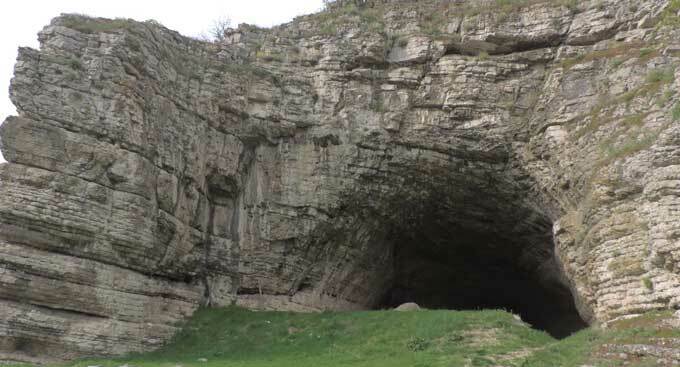 Abdul Wahab, "Caves," in Science4Fun, April 13, 2019, http://science4fun.info/caves/.